Jeff Bezos is among the Internet’s true pioneers and visionaries, creating one of the Web’s greatest brands and one of its most enduring companies. He founded Amazon (AMZN) in 1994, using his theories about leveraging the Web to move goods around more efficiently. While the company has had some bumps along the way and has morphed its businesses relentlessly, it has defied its critics and has become the most significant online retailer in the world. But Amazon is not without its challenges, in the market for digital media downloads, where Apple (AAPL) is market leader. And now in the Web services market as well, where Google (GOOG) and IBM (IBM) are both developing competing cloud-computing infrastructures. 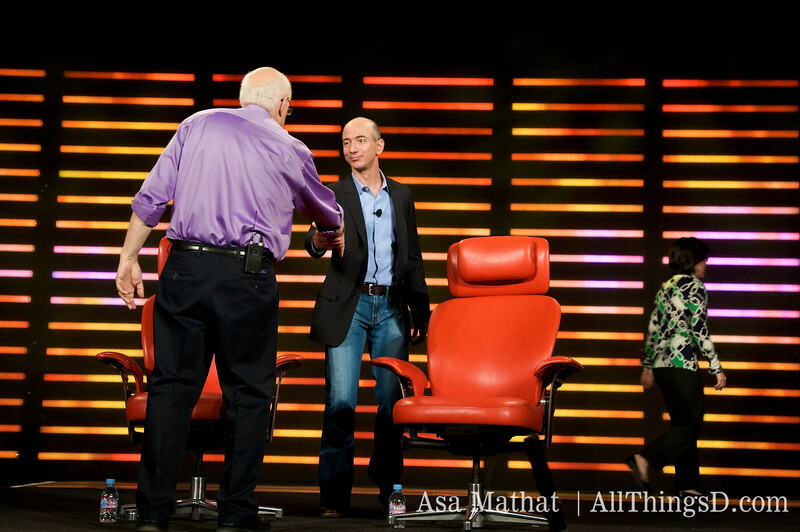 Walt Mossberg and Kara Swisher welcome Jeff Bezos to the stage. 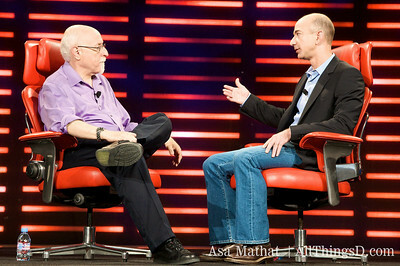 Walt, interviewing Bezos solo, begins by asking the audience how many attendees have piles of Amazon boxes laying around the house. Clearly, that’s the case in a number of attendee houses. Given Amazon’s leading position in the online retail space, Walt asks, why is it pursuing initiatives like e-books and Web services. Bezos notes that Amazon bases its strategy on customer needs, not the company’s skill set. “If you only focus on your own skill set, you will ultimately be outmoded by competitors. You must consistently review and enhance your skill set according to customer needs.” Bezos cites e-books and Kindle as an example of this. Notes that Amazon had never done hardware, but after recognizing consumers’ need for a good e-book solution decided to address it with Kindle. Walt wonders how an online retailer adapts to hardware production. Bezos explains that the retailer had to reassess its ideas about distribution, wrangle publishers into adopting an attractive pricing model, and reinvent the wireless business model. Walt asks how many Kindles Amazon has sold. Bezos declines to answer, but “in the spirit of offering news,” (riffing on Walt and Kara’s earlier comment that the theme of D6 was news) provides another metric: On a title-by-title basis, he says, Kindle unit sales now account for more than 6% of Amazon book sales for the 120,000 titles that are available on Kindle. Walt asks if the recent Kindle price cut is a preface to the introduction of the next Kindle. 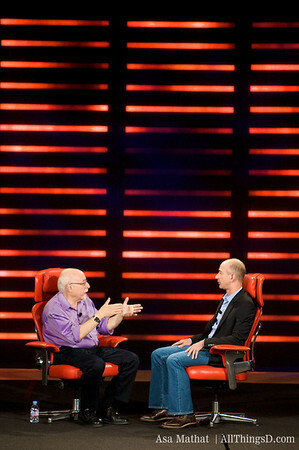 Bezos says it’s not: The next iteration of the device is a ways off. Walt notes that the Kindle’s killer feature is seamless delivery of content. Bezos says Amazon’s goal was to offer wireless book downloads in 60 seconds or less and to make that experience invisible to the user. 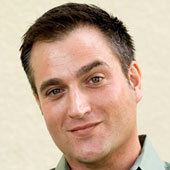 Walt: Can you imagine a day when Kindle is a significant part of your business? Bezos says he can. When we embark on initiatives like this, we consider very carefully whether it can someday have a significant impact on our business. Bezos: We want to be missionaries about our products. Moving on to Amazon’s media-download business. How serious are you about that business, asks Walt. Very serious, says Bezos. He notes that it’s a very competitive space and that Amazon is innovating in it. The company will launch for-pay streaming in the next few weeks. Walt: So iTunes is going down, then? Bezos: No. That’s not what I said. Moving on to Web services–Amazon S3, EC2, etc. Bezos refers to these as infrastructure Web services. Allows users to focus on software and not worry about data centers. Walt: So someday will I think about Amazon as the place to go for cloud computing, rather than books? Bezos replies: If you’re a software engineer you might. Walt: No chance of that ever happening. Bezos admits that Amazon backed into this business. Amazon really is just one big application, he says. Amazon really is just one big application, he says, noting that the company’s Web-services business arose out of the company’s own need for such things. We realized that we could externalize this and turn it into a business. For more coverage, see Barron’s Tech Trader Daily.